William Folger, DVM, MS, Dipl. ABVP, was at a physician’s office in Houston when he began to receive emails about a Texas veterinarian who had used a bow and arrow to kill a cat outside her rural home. Months later, after authorities declined to pursue criminal charges and the Texas Board of Veterinary Medical Examiners moved to revoke Dr. Lindsey’s license, Folger was plunged deeper into the case. When Lindsey appealed the board’s action, Folger was asked to participate as an expert witness at the State Office of Administrative Hearings. Folger, president of the Society for Veterinary Medical Ethics, said “yes” with the caveat that his opinions would be based on available evidence and that he would not be swayed by attorneys on either side. 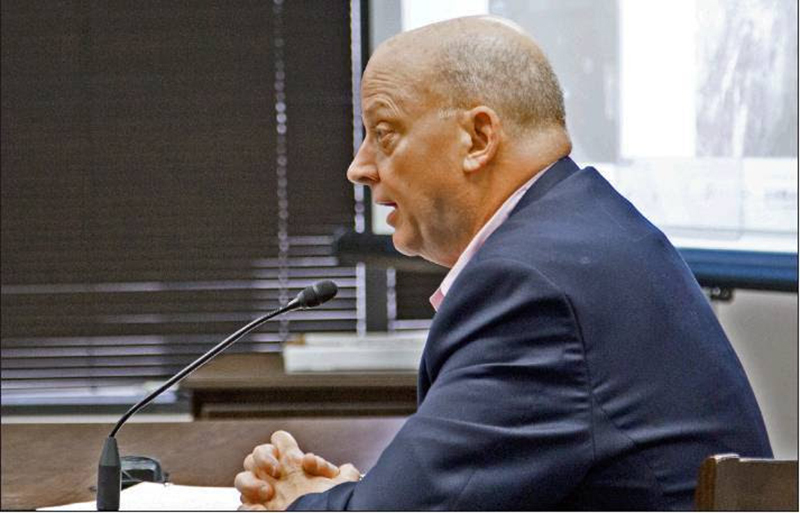 Jumping into the fray was a decision Folger said he would make again, despite the backlash he received from some veterinary professionals and the questioning he faced from Lindsey’s attorney, Brian Bishop. “What a learning experience it was, not so much about cats as about individuals in my own profession and social media,” Folger said. Part of Bishop’s strategy was to discredit Folger as biased because of the veterinarian’s blog and social media posts. Folger’s testimony made headlines, especially his declaration that the cat, Tiger, was alive when the infamous Facebook photo, which showed Lindsey smiling from ear to ear, was taken. Folger, in a comment posted on the Veterinary Information Network website shortly after word of the killing went public, said Lindsey had made “a perfect kill shot.” That certainty changed when he pored over the evidence. Lindsey’s attorney accused Folger of flip-flopping. “I did not contradict myself,” Folger said. “For starters, my initial comments [in various forums] suggested what I believe now—it’s hard to imagine a kill shot from 20 yards away. I spoke to experts who say they could never hit a precise target at that range, and Lindsey conceded she was a novice [archer]. One accusation was that Folger was paid a lot of money to support a point of view. Folger, founding chair of the American Association of Feline Practitioners Welfare Committee, is not an opponent of hunting. Lindsey’s case, he said, was not about wildlife. It was about a cat that evidence revealed was a neighbor’s pet. The Texas Board of Veterinary Medical Examiners ruled October 18 that Lindsey’s license would be suspended for one year and that she would have to serve four years’ probation and complete animal-welfare training. While her attorney promised an appeal, the veterinary board chose the punishment recommended by the administrative judges. “I wasn’t surprised by the decision given the spiritual nature, grace and forgiveness expressed by Tiger’s owners,” Folger said. Owner Claire Johnson testified that she didn’t want to be responsible for permanently damaging Lindsey’s career. The court of public opinion isn’t quite so forgiving, and neither is Folger. “How can a veterinarian kill a cat, whether it’s owned, feral, unowned or abandoned?” he said. “It doesn’t matter if she thought the cat was feral. This is astounding to me. Killing cats is against the law in Texas. The Texas Board of Veterinary Medical Examiners in October suspended Dr. Kristen Lindsey’s license for one year and added four years of probation. An appeal is likely. “Dr. Lindsey and I are disappointed that the board ordered suspension of Dr. Lindsey’s license based on an action that had nothing to do with the practice of veterinary medicine. We are also disappointed that the board has, for all intents and purposes, chosen to take sides in the culture war between the animal rescue zealots, who have campaigned to destroy Dr. Lindsey and her family, versus rural property owners who have the right to protect their property and their own animals from feral animals who are destroying their property and threatening their own animals. “Dr. Lindsey did what she did to protect her property and her own cat from an animal that was trespassing on her property, damaging her property and endangering her domestic cat and her horse. It is also disingenuous, if not absurd, that the individual who now claims she owned the cat didn’t care enough about the cat at the time to give it a collar and tag—or any evidence of ownership —or to get the animal vaccinated for rabies (in an area where rabies was pervasive), or to prevent the animal from roaming wild in an environment where it was likely to be eaten by coyotes or otherwise suffer and perish. “It should be very troubling to regular people that the state of Texas is spending precious tax dollars on the prosecution of someone who … was simply protecting her property from a free-roaming feral animal and that this board doesn’t have the integrity that the district attorney in Austin County had to stand up to an irrational but loud lynch mob of zealots. “Only a permanent revocation of Kristen Lindsey’s license is an acceptable ruling given the level of contempt for animals she has demonstrated. She shot Tiger, dangled him by an arrow through his head as he slowly died, and then celebrated the killing on social media with a grisly photo. She clearly broke the public trust we place in veterinarians and should never practice medicine again.